SpadeCast is an adware program which you should remove from the computer. The application is installed as a browser add-on and is aimed at enhancing your online experience by displaying advertisements. The browser add-on is promoted at spadecast.info but is also bundled with other applications, which is why it is crucial to pay attention to the installation wizard once the installer is launched. SpadeCast is identical to Blarble, Web Flipper, SearchFoot, Browse Mark, and other programs and is developed by SuperWeb LLC. 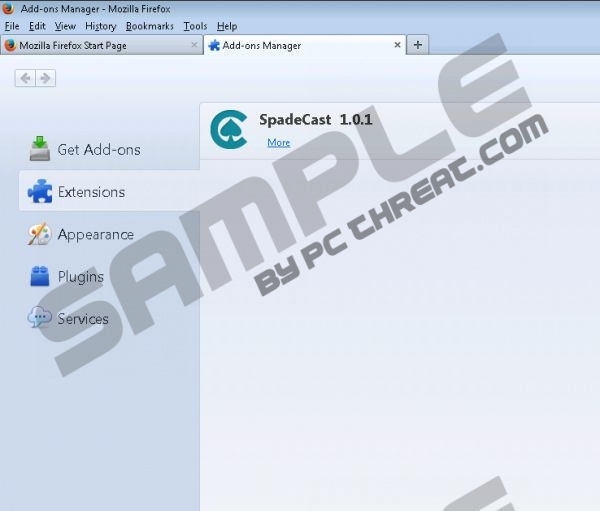 SpadeCast is compatible with Internet Explorer, Google Chrome and Mozilla Firefox. Once installed, the application starts monitoring your actions on the Internet. It records your search terms, clicks, browsing history, time that you spend on various websites, browser language, and some other information about you. Usually, programs such as SpadeCast do not seek to reveal your identity, but there is always some risk that the adware will record some personally identifiable information, which may be used for targeted advertising. We recommend that you remove SpadeCast from the PC so that you do not have to struggle with personalized ads, some of which may be related to unreliable websites. SpadeCast does not endorse quizzes, contents, surveys, coupons, and various advertisements, which means that you interact with its pop-ups at your own risk. Programs such as SpadeCast may be used to promote scam websites, and, if you want to prevent adverse consequences, you should not trust SpadeCast ads and remove the adware program from the PC. We recommend using SpyHunter because this application can remove SpadeCast and safeguard the system against various computer threats. Do not hesitate to implement this spyware and malware removal program especially if your computer contains no security tool. If you do care about your personal information and want to keep the system malware-free, take action right now to implement the recommended application. Select Uninstall a program and remove the adware program. 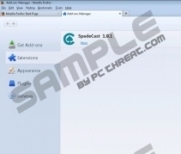 Once you finish the removal of SpadeCast, install a reliable scanner and scan the PC to make sure that the system contains no file related to SpadeCast. Quick & tested solution for SpadeCast removal.